New hunt gifts, 0-2L$. Find them at the Peippo Mainstore. Hints on hunt signs and the hint sign. Peippo: Chocolate Cake for Baking Mania Hunt 1st - 31st Jan. Works for regular avis, tinies and quad tinies. Sorry, no picture. 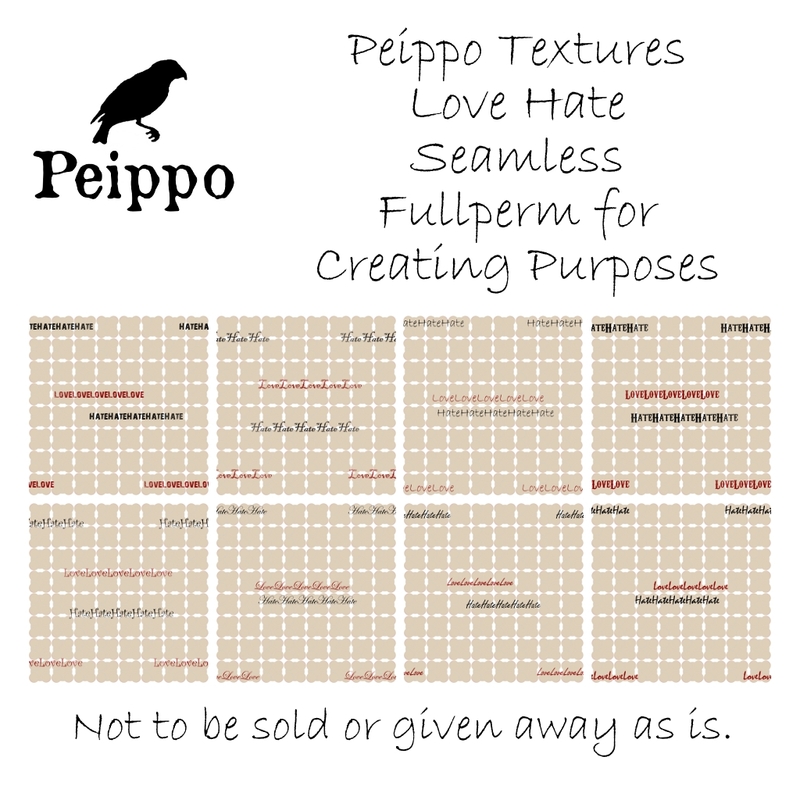 Peippo Textures: Love Hate for Love and Hate Hunt 12thJan. 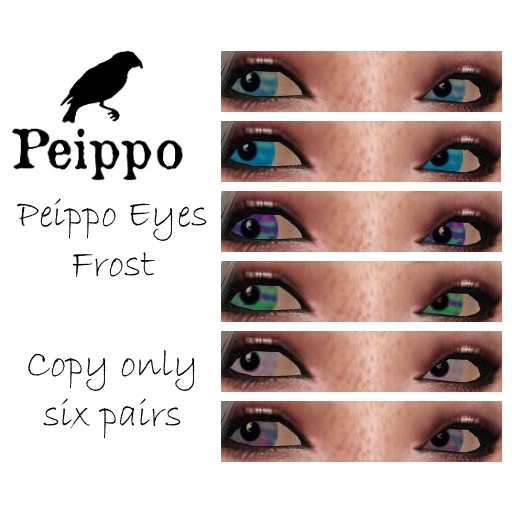 - 12th Feb.
Peippo Eyes: Frost for Femboy Hunt 15th Jan. - 15th Feb.
Peippo Textures: Fantasy for Fantasy Hunt 21st Jan. - 21st Feb.
Also we have a new store design for the mainstore. It will become more versatile once we have more products out on display.